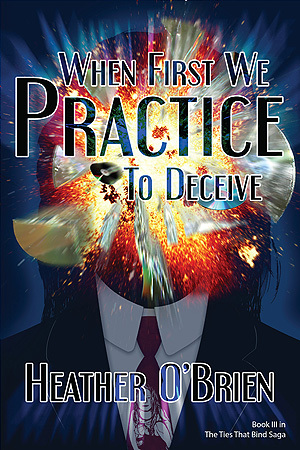 When First We Practice to Deceive ~ the third installment in this riveting series takes a deep dive into the motives and madness behind love, honor, reunion, and revenge. In the aftermath of the explosion, Ben Grant is faced with a difficult decision that will strain his family and may lead an unidentified threat to his front door. Chris wrestles with his long buried obsession over the one woman he ever loved. His successful solo career is in high gear even as his fragile marriage suffers under the weight of jealousy and unspeakable betrayal. Miles Macy and his Metro Dade allies grow frustrated as they continue their investigation into Jordan Grant’s murder. A mysterious riddle from an anonymous source, previously concealed evidence, and a voice from the past converge to fill in missing pieces and provide closure to more than one grieving family.